Dr JENSEN (Tangney), Wednesday, 26 February 2014 (17:39): First, I would like to thank all those who so diligently helped me during the election campaign. I will not name those who helped me, because inevitably someone will be forgotten and that is not my desire. I thank everyone who helped me, particularly the people of Tangney for electing me with a record margin for the seat of Tangney. I see that not only as testament to the amount of work I have put in to the electorate but also as testament to the standing of the Liberal Party more generally. Tonight I will talk about our science crisis, climate change and energy including—horror of horrors—the N-word: nuclear, as in power. You could say I have a unique background in this parliament. In this chamber and the other chamber I am the only research scientist who has worked in the research industry. This gives me a different mindset, a different way of thinking. This way of thinking gets back to analysis of data and trend analysis. I have led in debates on subjects such as climate change, carbon tax and the emissions trading scheme when they were not popular. I have led on nuclear debates. If you look at the Hansard, prior to my speech in March 2005 there was no mention of the word 'nuclear'. I have also been highly critical of the joint strike fighter since 2005. We would have joint strike fighters in service, right now, if Defence had been believed back in 2005. It is difficult to see how Australia will be in the top five countries by 2025 if we continue on our current path. We need to look carefully at what improving countries are doing to see what lessons there are for Australia. I have been looking at this issue and consulting widely. For secondary schools, I very much support the review of the curriculum as announced by Minister Pyne. I would like to broach a few issues concerning improving science. Some of them will probably prove quite controversial, including the first one I mention—that is, subject-matter expertise is more important than a teaching diploma. In other words, if we have the option of having people who have worked in the field as engineers or in the hard sciences wanting to teach, we should not bog them down by saying they need to do a full year's teacher-training diploma in order to teach. We should expedite the process and make it very quick. Perhaps we should have mentors, but we should get those people teaching. In other words, we need to fast-track them. We need to pay hard sciences and maths teachers more, simply reflecting market reality. There is a greater demand for people in the hard sciences and maths, so we need to pay them more to get good students to do teaching. This is even, potentially, at the expense of class size. I would rather see an expert teacher teaching a larger class than a teacher who is struggling with the subject matter themselves teaching a smaller class. In terms of tertiary education, we have got to stop student feedback being a metric of teacher quality. Difficult courses will be much harder to make popular with students than easier ones. We need to make sure that the quality of the teaching is actually reflected by measuring the output—the quality of students' results—rather than a popularity contest. Students in the hard sciences and maths should also take courses in entrepreneurship, intellectual property and patents. In tertiary research we need to get rid of an act enacted just last year, and that is the Defence Trade Controls Act, or the DTCA, and put in a much less onerous agenda around the alignment of our legislation with the US ITARs, or the International Traffic in Arms Regulations. With it the way it is at the moment we are going to punish our research sector when this act takes effect next year. We must not make Defence the arbiters of what can and what cannot be independently researched in Australia. I believe we should also be looking to the research sector, and this includes restrictive contracts that are drawn up between CSIRO and the universities. Indeed, I was on the advisory board of the ARC Centre of Excellence in Antimatter Matter Studies, and we really wanted to bring CSIRO in as one of the partners without research. But the provisions that CSIRO sought to put on us as far as IP was concerned was so onerous that it was far better just to leave CSIRO out, which is a tragedy. We need to ensure that the Australian Research Council, the ARC, provides more funding for risky research rather than what I would call 'backfill' research, which is research that is far less risky, where you put in a bid for your research proposal knowing what you are going to get at the end. We need to increase the diversity of the research undertaken under the ARC by having overseas experts act as referees for some research proposals where there is inadequate expertise to do this in Australia. At the moment there are subject areas where we have got one or two researchers doing very good work but we are unable to get people to referee research proposals from these people because we lack that expertise in Australia. We need to ensure that those research areas do not completely wither and die simply for lack of available referees in Australia. We also need to fund more cross- and multidisciplinary research. I would put it to you that the ARC centres of excellence are an excellent model for this. The ARC centres of excellence are about multiple organisations working together in a multidisciplinary sense. It also enables funding to be granted for longer periods of time so scientists are not madly filling out research proposal after research proposal, which is a waste of time and of the scientists' expertise. Rather, get rid of that bureaucratese, if you will. In my view, we need to remove any research priority on politically hot topics such as, for example, climate change. The reason I say this is that I had a very senior scientist admit to me in discussions—I am not going to say who it was or what the organisation was; I do not want to identify this person—that a certain area of research was nonsense and was never going to work, and he said, 'But I couldn't have said that 12 months ago because we had research that we were undertaking in that area.' Science is not supposed to be about convenient definitions and conveniences as far as funding is concerned; science is supposed to be about a search for truth. The research proposals that get through the ARC at the moment are only funded to about 80 per cent of the level requested. There is a huge problem, obviously, with this, because if you are funded to 80 per cent of what you requested, to do a piece of work straight away, it changes the bounds of the work that you are going to undertake, because you can only undertake 80 per cent of it. We need to fully fund the proposals that are approved and, preferably, like the United States, not only fully fund but also actually provide contingency funding as well. This would enable that research to be done as agreed, so there are no excuses after the fact for research that is not undertaken. We should also specify what I call 'linkage' grants, which are grants that are there specifically to link industry with science. We should specify a minimum percentage of linkage grants that need to be new linkages with industry, which would then force further outreach between research and industry. The problem at the moment is that it is all too convenient just to go back to the industry partners you are familiar with. In my view, we need to gradually remove the outside funding requirement for the CSIRO. I remember when the so-called 30 per centers came in in the late eighties. It was done for a very good reason: to make CSIRO more responsive and more applicable to industry. The problem is that it actually distorted things, where far more than 30 per cent of the effort went into chasing that 30 per cent of funding. In addition to that, the level of research done in those 30 per centers equated very often to what was equivalent to Mr Fixit jobs rather than real research. We need to introduce a scheme similar to the United States' Small Business Innovation Research program to encourage innovation. This will allow a lot of spinoff companies to begin very easily. We need to expedite IP processes, and we need to ensure that the CSIRO and the universities are aware that intellectual property is a perishable commodity and that it becomes less valuable over time. Rather than trying to squeeze absolutely the nth degree out of it with lengthy processes to try and maximise that IP—in which time people are less likely to pay for it anyway because there will be alternatives out there—expedite the process and get the IP signed off as quickly as possible. As far as climate change and the carbon tax is concerned, the carbon tax is a $9 billion a year hit on jobs. Unemployment already is 110,000 higher now than it was in July 2012, when the carbon tax was introduced. The carbon tax, even by the former government's own figures, is a giant handbrake on the economy. Labor's own figures state that by mid-century our economy will be cumulatively $1 trillion smaller with the carbon tax than without it—and all of this with no defined reduction in global average temperatures. There is a complete disconnect with the whole mechanism with carbon dioxide and global average temperatures—which is what it is supposed to be all about. "RETs and their equivalent damage economies. You only need look at Spain where they embarked on a massive renewable program to see the effects of this." I welcome the review of the Renewable Energy Target that was announced by the Minister for Industry and the Minister for the Environment. Judith Sloane has pointed out that the RET by 2020 will increase electricity prices by 40 to 45 per cent. In my view, get rid of the RET, honour the contracts that have already been signed and let the market decide on a completely level playing field. The show stopper for renewables, quite frankly, in terms of baseload power, is storage. So, we should look at the cheap end of the innovation pipeline—that is, research. Instead of forcing uneconomic energy solutions on the market, we should try to get a solution where we can gain benefit from the IP. RETs and their equivalent damage economies. You only need look at Spain where they embarked on a massive renewable program to see the effects of this. Did Dennis Jensen mislead the Parliament? "The hundreds of thousands of empty homes across Madrid has spawned a black market for cheap housing in which groups illegally break into, and then let, repossessed properties." The residential real estate bubble in Spain saw real estate prices rise 200 percent from 1996 to 2007. €651 billion is the current mortgage debt (second quarter 2005) of Spanish families (this debt continues to grow at 25 percent per year – 2001 through 2005, with 97 percent of mortgages at variable rate interest). In 2004 509,293 new properties were built in Spain and in 2005 the number of new properties built was 528,754. 2004 estimations of demand: 300,000 for Spanish people, 100,000 for foreign investors, 100,000 for foreign people living in Spain and 300,000 for stock; in a country with 16.5 million families, 22–24 million houses and 3–4 million empty houses. From all the houses built over the 2001–2007 period, no less than 28 percent were vacant as of late 2008. "Due to the lack of its own resources, Spain has to import all of its fossil fuels." Due to the lack of its own resources, Spain has to import all of its fossil fuels, which in a scenario of record prices added much pressure to the inflation rate. Thus, in June 2008 the inflation rate reached a 13-year high of 5.00%. Then, with the dramatic decrease of oil prices that happened in the second half of 2008 plus the confirmed burst of the property bubble concerns quickly shifted to the risk of deflation instead. In terms of climate change we have cognitive dissonance and confirmation bias. Indeed, we saw Professor Chris Turney get stuck in his own experiment, yet he still has no doubts about 'the science'. There is no 'the science': science is a process; it is not a noun. The simple fact is: if, back in 1995, I had made a prediction of future global average temperatures and I had said, 'Next year and every year afterwards is going to be the same as this year,' I would have been far closer to what has eventuated than the IPCC projections and predictions of that time. There has been a lack of warming for well over 10 years, contrary to model projections. Quite frankly, there is a lot of bad science that goes on in this. For instance, you have people with a certain paradigm that they accept; when you give them contrary data and evidence they look at ways to explain that data and evidence in terms of the paradigm they accept, rather than questioning that paradigm. Appeals to authority and consensus show weakness in argument. For instance, when was the last time you heard 'The consensus of the world's scientists is that the earth orbits the sun'? Indeed, Newton's equations of motion were seen as a complete solution to mechanics for a period of nearly 200 years, until Lorentz transformed it and Einstein's theory of relativity. It is ironic that the Bureau of Meteorology said that last year was the hottest year on record. They do not talk about any sort of adjustments that they make to the data—and that is something I will be asking questions on. Furthermore, what about the 1890s and early 1900s where it was very warm and in all probability quite a bit warmer than last year. The Bureau of Met says, 'Well, that temperature data is unreliable.' But here is the catch: the IPCC has temperature data going back to 1850. Even if you accept that the rest of the world's temperature measurements were reliable, and it is a big call considering it was 1871 when you had Stanley saying, 'Dr Livingstone, I presume.' You can imagine the temperature measurements in Africa at that time. Even if all of those other measurements were accurate, you have this massive section of the globe called Australasia where, by the Bureau of Met's own acknowledgement, the records are unreliable. In terms of nuclear power, we talk about baseload solutions. Japan is in the process of re-opening many nuclear power stations. Germany has failed comprehensively with renewables, but it has refused to expand its nuclear power industry. Guess where it is going? It is going back to more coal fired power. At present the only way to generate baseload in Australia, apart from coal and gas, is nuclear. Renewables do not cut it—sorry, they just don't. They do not cut it economically and they do not cut it in terms of reliability. Nuclear is economically competitive; it was marginally uncompetitive when Switkowsky did his review back in 2006-7, but we have seen electricity prices rise to reflect the reality of the market as far as gas and coal fired power is concerned. Nuclear is very much in the picture. It is in the picture in the US; in fact, it is the cheapest method of generating power in the US and similarly in South Africa. Quite frankly, in Australia we need to seize that opportunity. Burying our heads in the sand and saying, 'No nuclear. Terrible technology,' et cetera does not help. It is the safest method of generating power out there by far and, obviously, for Australia there would be scientific benefits as well in terms of training more nuclear engineers, more nuclear physicists. There are areas where we are screaming out for more engineers. Particularly with the car industry going, where are engineers going to be employed? Nuclear energy is a very good start. The world is already hearing the rumblings of an energy transformation just as profound as the IT and communication revolutions of the past two decades. Electricity consumption has fallen in the US since 2007 just as it has in Australia. It is becoming increasingly attractive for US consumers to disconnect from the electricity grid and rely on their own energy generation and storage. Start-up electric car maker, Tesla plans to build the world’s biggest battery factory in the U.S. The market value of the company has now jumped to $30 billion, more than half that of General Motors. Meanwhile, the US, China and Europe have all adopted aggressive energy productivity targets. Australia’s future prosperity and competitiveness depends on understanding these fundamental changes and lifting our national energy productivity. The 2XEP Forum on Doubling Energy Productivity is the largest ever gathering in Australia to tackle this issue. The Hon Anthony Roberts MP is the Minister for Resources and Energy, and Special Minister of State in the NSW Government. In his role of Minister for Resources and Energy, Minister Roberts is responsible for delivering the NSW Government’s priorities for growth under NSW 2021 by developing the NSW resource and energy sectors. Minister Roberts will join us during the Forum’s opening discussion of Energy Productivity in the U.S. and Australia – Shared Challenges and Opportunities. Minister Roberts’ full biography can be read here. Clover Moore is currently serving her third term as the Lord Mayor of Sydney and is the first popularly elected woman to lead the City of Sydney. Ms Moore also represents Sydney at the C40 Cities Climate Leadership Group, a network established to address global warming. Under Ms Moore’s leadership, the Sustainable Sydney 2030 initiative was developed to improve Sydney’s environmental, economic, social and cultural sustainability. The 2030 plan particularly focuses on reducing emissions, using alternative energy and diversifying transport for the city. Ms. Moore joins the Forum to speak on how the City of Sydney has been building business partnerships for energy efficiency and what these trends mean for energy users and providers, the economy, and the environment as part of the session ‘Commercial sector energy productivity’. Ms Moore’s full biography can be read here. The NSW Office of Environment and Heritage is helping to build a productive environment and economy through initiatives that support families and businesses to cope with rising costs of living, help people get involved in caring for their local environment, develop productive and sustainable uses of our landscapes, provide leadership and enable innovation in energy efficiency services and technologies. The result is steeply rising prices for household gas and power and a choking effect on an otherwise healthy domestic industry and jobs. All this at a time when our Prime Minister aims to make Australia "the affordable energy capital of the world". The International Energy Agency ranks Australia's gas resource among the world's most abundant. It is policy failures, laid out in detail back at least as far as 2002, that cause our volatile domestic energy market to be destructive of the national economic outlook. According to the Queensland Competition Authority, electricity costs will rise in the next year "by around 29 per cent. This is driven by rising industrial demand associated with rapid development of the liquefied natural gas (LNG) export industry in Queensland and higher fuel prices (mainly gas)". NSW's largest gas retailer, AGL, announced this month that it would hike household prices by 20.3 per cent in July. Again, the problem is a shortage of supply. Yet we know there is ample gas. Effective public policy would have created a competitive local market for Australia's abundant gas. We would have stable prices and ample supply of a resource that is remarkably effective in attracting modern capital investment and industry. The fact we do not have that is due entirely to policy failure. Serious flaws in Australia's gas market were laid out clearly in a COAG (Council of Australian Governments) review in 2002, which forecast supply problems and sharp price hikes. Yet even as the gas export industry expanded to be potentially the world's biggest, no action was taken to curb the exporters' tight reservation of Australian gas. For some time now, Australians have been told that debate over domestic gas pricing is special pleading. Gas producers that have been allowed to reserve critical natural resources exclusively for export have painted any attempt to promote a functioning domestic market as protectionism. The fact is producers like high natural gas prices because it is good for their bottom line; the impact on everyday Australians is far less meaningful to them. The effect of their success is now evident. Dow laid out the failures of policy that have delivered soaring retail prices and increasing suppression of industry and investment in a paper last month for the Industry Minister. Dow cited work by the OECD and others to demonstrate that export pricing was irrelevant to Australia's domestic gas market. In fact, the current state of LNG projects and gas supply suggests that domestic gas users are subsidising flawed export projects. Specifically, the idea that Tokyo prices are somehow a benchmark for Sydney prices sits on matchstick foundations. Fundamentally, this is not a market. As the OECD observed in 2012: "These markets are far from being liberalised, characterised by a lack of competition both upstream (when relevant) and downstream." Abundant gas offers Australia a rare opportunity. At a time when industries globally are in flux and traditional competitive factors come and go with unusual fluidity, gas offers a competitive certainty. As the Prime Minister has said, abundant gas should be a competitive jewel in the national crown. Dow has sought to make investments based on Australian gas. On a number of occasions we were rebuffed. We told the minister in our submission that in these cases we did not get to discuss pricing as the producers simply refused supply. In response, one of the companies we attempted to negotiate with has denied knowledge of any such discussions. I have since reminded them of the facts, advising the minister that we remain prepared to provide whatever detail is required. Our submission to the minister cited commentary by global analysts at Credit Suisse, which pinpointed the exceptional factors at work in the Asian gas export market: "The cosy club of LNG developers, super-majors and a few 'specialists' have fully embraced the buyer's drivers, enjoying supernormal rent in good times and using crude price linkage to offset soaring unit development costs in recent years." The current policy settings have produced a situation in which Australia's advantage in gas resources is allocated solely to the interests of those whose profit is maximised by maintaining the "cosy club". So long as market distortion is tolerated, Australians are denied the opportunities of a functioning domestic market for its abundant and valuable gas. We have instead a crude ratchet effect in which, from time to time, domestic prices are simply jacked up. Craig Arnold is managing director of Dow Australia & New Zealand. Latrobe Express cancels worries about "No long-term health worries"
Comments made on a Latrobe Express article by Stephanie Charalambous "No long-term health worries" - February 20, 2014 - had gone missing on Saturday February 22, 2014. The comment by Mark Cummins was back online on Sunday evening, February 23, 2014. The comment in reply is still "pending" more than 24 hours after posting. This is really disturbing to see that the people are not being informed of what is really dangerous about the PAH combustion products that are in the smoke and ash of burning coal. Just google or Yahoo search for the information. It IS a long term danger you should be aware of. "Coke oven emissions are among the most toxic of all air pollutants. Emissions from coke ovens include a mixture of polycyclic organic matter, benzene, and other chemicals that can cause cancer. Occupational exposure studies of coke oven workers have shown statistically significant excess mortality from cancers of the respiratory tract, kidney, and prostate and all cancer sites combined." RACHAEL BROWN: A former power industry worker who wants to be known as David Brown says his partner has had to leave town, as have some of his neighbours with children. (to David Brown): What do you make of the chief health officer and the EPA saying that there should be no long term health effects? DAVID BROWN: Well that's just hogwash. It's well known that the power industry is toxic. They use filtration for their ash through electrostatic precipitators which capture the heavy particles. This is totally different. This is raw coal burning straight to the atmosphere with no filtration. The Department of Health maintains the Latrobe Valley's prolonged exposure to smoke is not likely to cause long-term health issues in residents. However, according to one Monash University researcher currently visiting Traralgon, there is little data on the long-term impacts of bushfire smoke on the community. Between 10am and 11am yesterday, the Environment Protection Authority recorded on its website an air quality rating of 526 at Morwell East. The worst air rating on the scale 'very poor', is considered 150. Department of Health Victoria's chief health officer Dr Rosemary Lester said she did not expect to see "significant long-term health impacts" as a result of the air quality situation. "Although it is frustrating and irritating for locals, in the scheme of things, it's really not a long exposure," Dr Lester said. "There's certainly no evidence the sorts of exposure we're looking at will increase the risk of long-term problems." Dr Lester said carbon monoxide levels had fluctuated in the past few days, but had not reached the same heights as Saturday. "Acute exposure to very high levels is very serious and it is a concern particularly for pregnant women and children but I must stress, the levels we're seeing at the moment, we believe don't pose any threat to the community," she said. In a remarkable coincidence, researchers in a Monash University study into the health effects of fire on the community using planned burns, are in Traralgon this week for a pre-organised visit. Participants from Traralgon will complete a survey and undergo medical tests as part of the study, which was commissioned by the Department of Environment and Primary Industries. It was hoped this week's tests would establish a baseline or 'healthy' readings of respiratory and cardiovascular health ahead of further testing when there is a planned burn in the area. "We have bushfire smoke exposure (in the community), it's not what we had in mind, but it will be an interesting addition to the study," lead researcher Dr Martine Dennekamp said. Dr Dennekamp said there were few studies which looked at the long-term health effects of smoke exposure, and those available focused on emergency department presentations and hospital admissions. She said this was the first study to use planned burns as part of its investigation and would measure markers in the blood for chance of future heart disease. "We're trying to see whether we can expect long-term effects from individual-level exposure," Dr Dennekamp said. Short-term symptoms as a result of the smoke include itchy eyes, sore throat and coughing and the Department has advised residents in the worst hit areas of Morwell to consider staying with a friend or relative outside the township. If residents have wheezing or difficulty breathing they should visit their doctor or phone Nurse on Call on 1300 606 024. One Morwell general practice reported a major spike in presentations for respiratory and cardiovascular issues in the past few days. The Healthcare Centre's Dr William Ghattas said he had seen five times the patients he would normally see for respiratory issues, and this was a conservative figure, as some patients who sought appointments were not able to see a doctor. "Patients are complaining of shorter breath, feeling unwell and dizziness and we are seeing asthmatics," Dr Ghattas said. He advised residents to avoid smoke as much as possible and wear a mask when removing ash from their cars. Those with existing heart or lung conditions or asthma should follow their individual treatment plans. Latrobe Regional Hospital and Ambulance Victoria recorded a "slight increase" in respiratory issue presentations in the past few days. Latrobe Community Health Service medical director Dr James Bvirakare urged the community to look out for family members or neighbours who might be vulnerable to the smoky conditions. LCHS has GP and respiratory nurse services available by phoning 1800 242 696. The Victorian WorkCover Authority is advising Latrobe Valley workplaces to take steps to reduce the impact of bushfire and coal fire smoke on their staff. VWA executive director of health and safety Len Neist said workplaces should take note of the advice issued by the Department of Health in relation to people undertaking strenuous activity outdoors, particularly those with pre-existing heart and lung conditions. "We're asking businesses to review their systems of work and consider if measures need to be put in place to protect staff from the risks associated with smoke," Mr Neist said. "Reassigning staff with pre-existing conditions to non-strenuous, indoor work is one action workplaces can take to reduce risk to their staff. "Have a conversation in your workplace about the conditions and encourage staff to speak up if they identify any risks to health and safety." Natural gas prices on way up. It's time to review other sources of fertiliser and hydrogen. 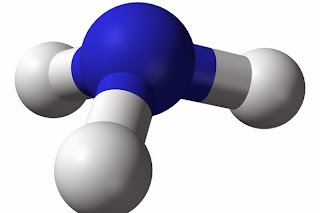 Natural gas is used as a source of hydrogen in the manufacture of ammonia - to make fertiliser for farming and explosives for the mining industry. Natural gas is also used as a source of energy in these manufacturing processes. The price of natural gas is expected to double next year. This will lead to much higher costs to farming and mining. Alternate sources of hydrogen and fertiliser need to be examined to keep farming and mining costs in check. 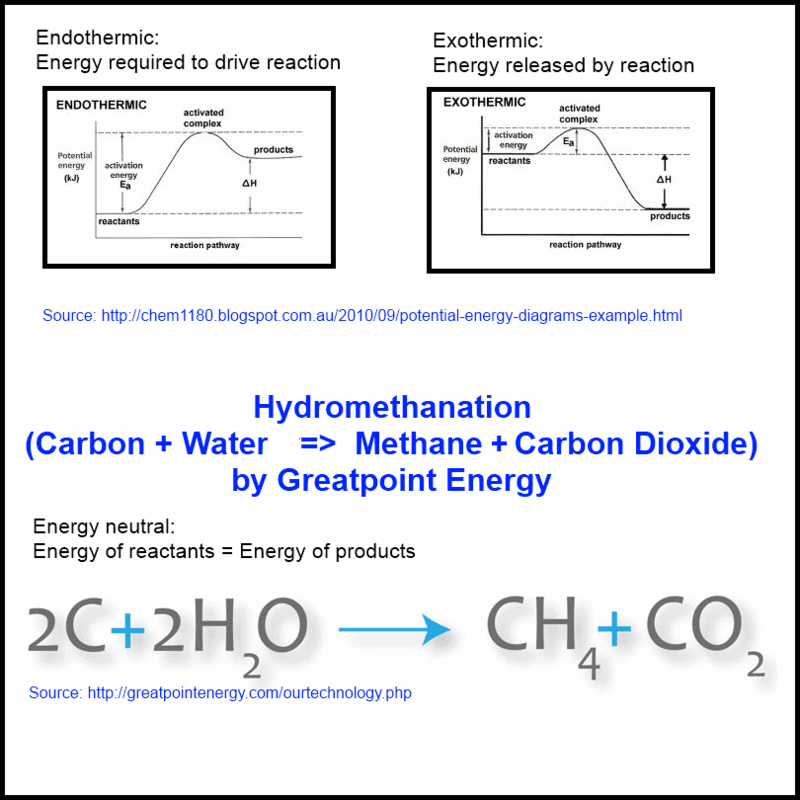 "Ammonia is manufactured by combining hydrogen extracted from natural gas..."
Anhydrous Ammonia is manufactured by combining hydrogen extracted from natural gas and nitrogen from the air to form liquid ammonia. Incitec Pivot's ammonia plants are located at Phosphate Hill and Gibson Island in Queensland. "long-term competitively priced gas supply..."
Incitec Pivot Limited’s new Dyno Nobel ammonium nitrate plant at Moranbah in Queensland is in the heart of Australia's largest metallurgical coal region, the Bowen Basin. Close to some of the largest coal mines in Australia, the plant’s entire output is committed to Dyno Nobel customers under long-term contracts. The Moranbah project is a fully integrated ammonium nitrate plant with an annual capacity of 330,000 tonnes. As a result of its strategic position, integrated processes and long-term competitively priced gas supply from local coal producers, the world-scale plant is expected to operate at the bottom of the cost curve in comparison with its international competitors. Incitec Pivot's Ammonia Plant, Louisiana, U.S.
"The new plant will upgrade natural gas to value-added chemicals." The new plant will upgrade natural gas and natural gas liquids to value-added chemicals. The project is a result of the growth in the production of shale gas in the US and increased global demand for ammonia, which stands at about 3.3 million tonnes of new capacity since 2002. DAP (Diammonium Phosphate) is manufactured by reacting ammonia with phosphoric acid. Because it has a high nitrogen and phosphorus content, DAP allows savings to be made in storage, freight and application. It is a very economical nitrogen and phosphorus fertiliser and is widely used throughout the world. In Australia, DAP is used in cropping and on grass pastures, both on its own and in blends, e.g. for sugarcane and horticulture. A $40 a tonne increase in the US in December has led Australian farmers paying up to $200 a tonne more for DAP. U.S. natural gas futures sprinted past $6 on Wednesday to their highest price in more than five years, ending up nearly 11 percent on forecasts that more late winter cold weather across the United States will increase heating demand and deplete increasingly thin supplies. SANTOS says it is so confident Australian east coast gas prices will rise that it is using prices close to $9 a gigajoule - which is two or three times current gas prices - to assess its gas reserves. "Ostara’s Pearl® technology created at the University of British Columbia recovers ammonia and phosphate from nutrient rich fluids." The pellets are then harvested from the reactor and formulated to become Crystal Green®, a high-quality environmentally friendly, slow-release, commercial fertilizer that provides revenue for the system’s operator. Ostara’s Pearl® technology is based on a proprietary fluidized bed reactor that recovers ammonia and phosphate from nutrient rich fluids. The technology, created at the University of British Columbia, uses a proprietary fluidized bed reactor design which removes approximately 85% of the influent phosphorus, but also results in the formation of a fertilizer in granular form consistent with that used in the fertilizer industry. "Hydrogen from natural gas by the use of solar energy." 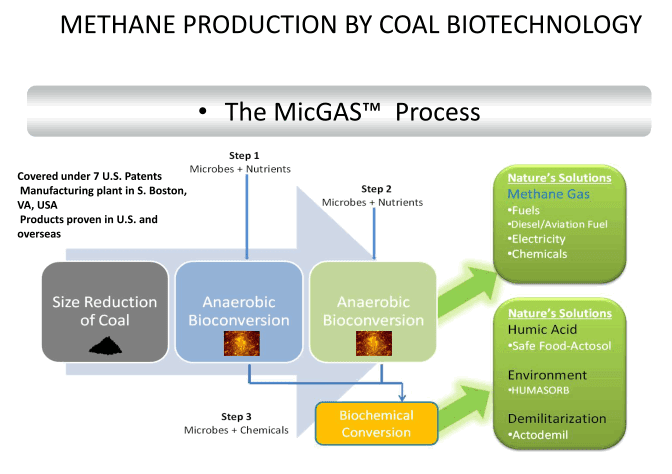 A hybrid process with the use of fossil and solar energy: the solar steam reforming of natural gas. It comprises the production of hydrogen from natural gas by the use of solar energy. Using the solar reformer technology for generation of hydrogen, we expect fuel savings of up to 40 percent compared to a conventional plant.